"All the business savvy you need wrapped up in a cute little cover!" 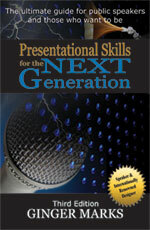 Get Your Hardcover Print Edition! or click the button at the top of this page to find the links to all the available versions. 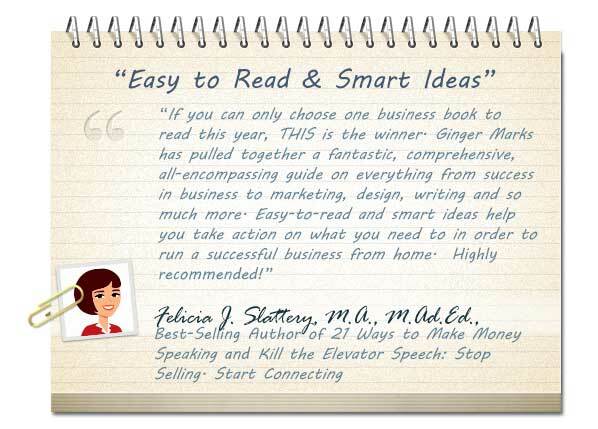 Just look at what savvy entrepreneurs are saying about this book . . .
And here's even more . . . 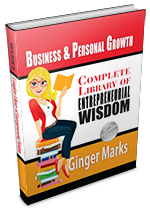 Inside the covers of this important collection of articles you will find a plethora of entrepreneurial wisdom spanning topics pertinent to the novice and experienced business owner alike. 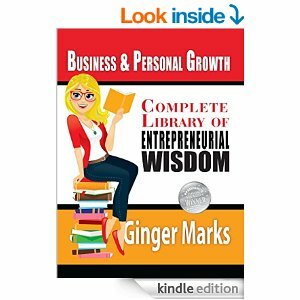 To make it easy for you to find the information you need at any particular time in your entrepreneurial walk Ginger has included topical sections and an Index. Here's a quick peak some at the sage advice you'll find within. How to Overcome Your Fear of Marketing? Customer Sign-up Forms, Does Yours Do the Job?
. . . and all this terrific information and more is followed up with a section titled Article Series. 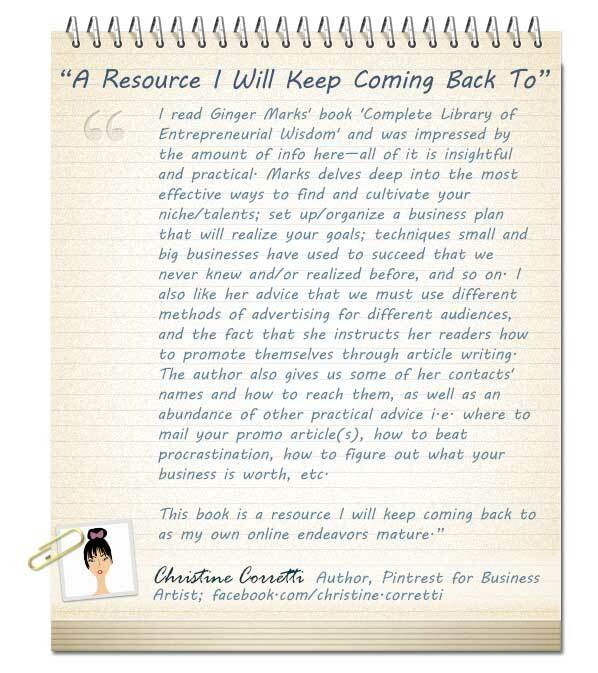 Download your copy today and begin saving yourself the time and frustration of learning the hard way how to and how NOT to run your business! Click the images below to get your copy now! 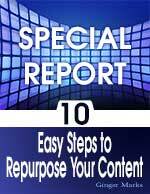 Get your copy of Ginger's Free Special Report: 10 Easy Steps to Re-purpose Your Content. 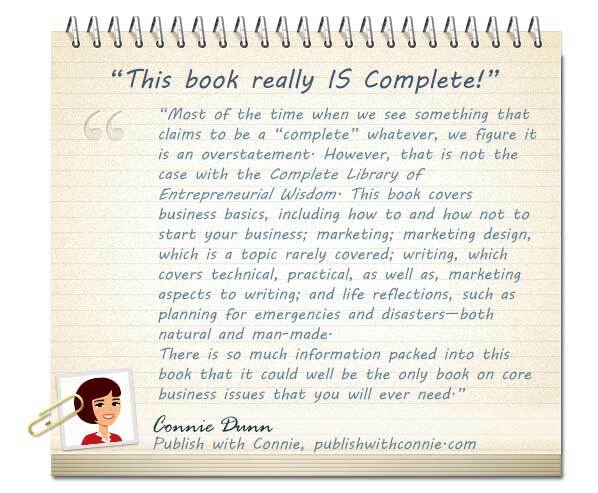 This is the insider's view of how the Complete Library of Entrepreneurial Wisdom came about. With the information you will garner in this Special Report, you too can quickly and easily create your very own new money maker. Download the Virtual Blog Tour Host Spreadsheet for use in scheduling your own VBT!